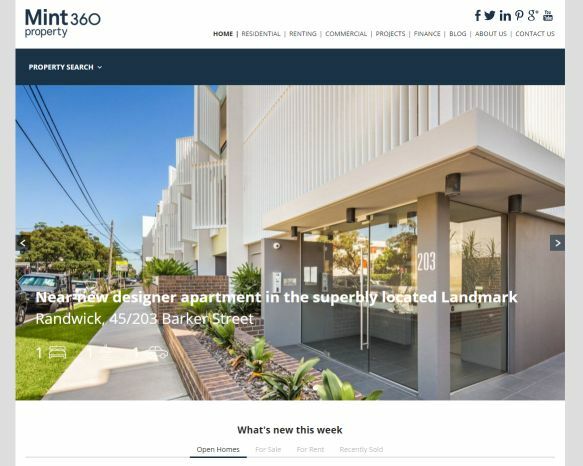 A new look for Randwick based agency Mint 360 Property. Simple, sleek and stylish. Posted in News, Our Products on 2 Mar, 2016 by Tatiana Mijalica. A big thank you to Imad from AgentPoint who took care of us for the last months to develop brand new website. He noted every single enquiry we had, and even though it took almost 4-5 months to create a website, we are very happy with a final result. Thanks to all Agentpoint Team! Below attached photo of Before and After. From the very first call, I was impressed. Rebecca Jones was friendly, professional and very approachable. Once the production of the website was underway, the job progressed quickly and smoothly under the professional guidance of Imad and his team. We are very happy with the result and have no hesitation in recommending AgentPoint. We look forward to a positive and prosperous ongoing relationship. AgentPoint and in particular Resan Syed were fabulous. They provide a professional, comprehensive service from the outset. The team worked with me until i was 100% satisfied with the new website, no matter how minor, or difficult the detail. Changes were made quickly, advice, recommendations and customer service was always forthcoming. In fact they were happy to deal with external providers etc. on my behalf to make the whole process as smooth as possible. Overall we are very pleased and are thrilled with the new website! Great work AgentPoint, can’t thank you all enough! It has been a pleasure to work with Resan and the team at AgentPoint. The customer service is friendly and accommodating and Resan was of great assistance to guide us through the issues with the setup of the website. We appreciate Resan’s patience and support, and we hope to work with him in the future again. Sharier was always willing to talk and help with the website. Thanks for your help. Great knowledge and happy to accomodate our needs as we continue to evolve our digital solution. Imad is very knowledgeable, polite and friendly. He is very approachable and provides a high level of service. No request is too large for Imad. I would recommend dealing with Imad to anyone. Agent point produced a great website at a reasonable cost! I look forward to working with them again in the future. In particular, I wish to printout the outstanding and tireless effort of Imad Dabir who project managed the development most efficiently and effectively. Imad’s communication skills, and ability to translate our brief into reality is a great testimony to his skill and dedication. We at Baxton have discussed his work and effort with respect to our project on numerous occasions and I have previously conveyed these sentiments to you personally in our discussions. We believe in giving credit where credit is due and we believe the utmost credit is due to Imad Dabir and the AgentPoint team he manages on this occasion. The directors of Baxton have and shall continue to refer work to AgentPoint as we wholeheartedly believe in the quality of workmanship, technical ability and after sales support you deliver. It has been very pleasant experience to deal with Agentpoint for our new website and CRM listing management. All the issues have been attended and solved in time. We are grateful to you Lilly for your assistance in these two months and best wishes to you. We’ve been using Agentpoint for over 3 years now and love their work. Wandi and his designers are awesome and hard working, always doing their very best. Well deserved 5 stars! We’ve been using Agentpoint since 2012 and have been impressed with their level of innovation and stream of new products. They’re always prepared to go the extra yard to help evolve our digital solutions. We have been with Agentpoint for ten years as they are the clear leader in website design and technologies. In real estate one needs to provide clients with cutting-edge technology which is self explanatory as why, we engage the services of Agentpoint. Awesome company with amazing staff. Imad and the team have been a pleasure to work with and were very patient and friendly with the build for portpropertymanagement.com.au and I would like to thank them for their hard work. Many thanks. It is with great pleasure that I write this testimonial for Kane from Agentpoint. We have been dealing with him a little longer than most and he was extremely patient, and a wonderful communicator. Providing us guidance and his attention to every detail was evident by the end result. We love the way our website has turned out, it really did exceed our expectations. When I started my Journey to choose a Real Estate Website Designer , I was really confused and worried as every company out there was trying to lock me into a contract and charge me ongoing fees. The arrangement that everyone was offering was not even customisable. Agent Point has been the most flexible Real Estate Website Design Company. They are a one stop destination and I would highly recommend anyone who wants to design and own their own solution for their Real Estate Business. Just wanted to take this opportunity to say Thank you for all your support. It was wonderful to work with you. Your quick response and ability to resolve issues made us feel that you genuinely cared about our business. We really appreciate that. You will always be a star in our books. Kane, many thanks for all your help & support during the development & transition to our new website. It was a great experience and I totally appreciated your hints and tips for website content, photos etc. We would gladly recommend Agentpoint & you to anyone else wishing to build a new website. We’re ecstatic with our decision to choose Agentpoint to design our new website. Juggling a change of address along with the REA closing down their websites was a stressful time, but Kane Hamilton-Smith (our Project Manager) made the process as easy as possible. The patience, knowledge and understanding Kane demonstrated throughout was amazing, and we highly recommend Agentpoint to any Real Estate agency looking for a fresh, professional website. Thanks so much! During the process of designing Colac Real Estates new website with Agentpoint, and through to completion, we found the whole experience was very smooth sailing. Nothing was too much trouble and Kane attended to our demands and expectations promptly with great empathy and professionalism. Kane Hamilton-Smith was absolutely awesome as our Project Manager, and found his personality and enthusiasm excellent, and thank him and the Agentpoint team for a great website. Lilly Madden-Scott was a pleasure to work with. She always ensured tasks were actioned promptly, making the process of developing our website a delight. We highly recommend her and the team at AgentPoint. I just wanted to share with you all my latest experience with Agent Point, in particular Hayden Penna. We are having issues with the setup of our new website and the response I received from agent point when I asked for assistance has been impeccable, professional, very helpful, patience, supportive and knowledgeable! I could not have asked for better service and support, so I would just like to share my appreciation, thank you Hayden. It has been an absolute pleasure having Kane Hamilton-Smith as our Project Manager. The service of Agentpoint and Kane was always prompt & professional – we couldn’t have asked for more – thankyou again. My customer experience with agentpoint so far has been fantastic. From our initial phone call to our sales contract Cheree Robinson who patiently reviewed almost every template available to explain how best we could customise to meet our brand expectations. Once we signed our agency agreement, our project manager Lilly Madden-Scott work tirelessly with us and her team to bring our new website to life. On top of our weekly meetings Lilly always had time to explain my mountain of questions, she not only did she always put me at ease, she carried out her tasks professionally, timely and with great spirit. Casey Penna our portal data manager also patiently went through the entire procedure with us and liaised with our other suppliers involved in the project seamlessly to ensure all our precious listings information landing in our website on time for our launch. I found using the agentpoint Hub system to manage our initial content upload and revisions to be extremely accurate and workflow conscious… allowing no opportunity for lost emails! Thanks guys looking forward to my next project – I would recommend this process to anyone in the industry. Agentpoint gave me the most pleasant experience when engaged to build our new website. Everything ran smoothly as Agentpoint explained it would during my initial contact with them. My Project Manager Kane Hamilton-Smith was a delight, and he made the whole creation of our website an absolute breeze. Thank you to Agentpoint & Kane, I highly recommend their services! Thank you to Kane at Agentpoint for his patience & friendly approach to what would have otherwise been a nightmare for us to organise! Kane took the stress out of it all & we are so pleased with the final product. From the moment I contacted Agentpoint I knew we had chosen the right company to create our new company website. Lilly Madden our Project Manager’s responsiveness to all our enquiries was exceptional and no question or issue was ever deemed to silly or trivial to address. Casey Penna was also fantastic in addressing all our IT concerns. Launch day proceeded without a hitch which was a huge relief as we were in such great hands. Our new website has exceeded our expectations and reflects Harbourline’s image perfectly. Thank you to everyone at Agentpoint for all your hard work. It has been a pleasure working with you. I just wanted to send a quick email to highlight how excellent Imad Dabir, our Account Manager, has been. Imad has been an absolute pleasure to deal with throughout the duration of our website development with Agentpoint. He has always been a friendly and patient account manager and always takes the time to explain things to me in plain English. Even with numerous revisions to our initial designs from our end, which I know can be rather frustrating with delays to the project and more work being created, Imad remained focussed on ensuring that we achieved our desired result. Further to this, his cooperation with our external SEO company has also been excellent, allowing them to work to their full potential. Overall it was refreshing to know that any concerns or questions that we had regarding our new site would soon be quelled or answered by a simple phone call or email. Imad made the whole process a comfortable one, and for that I thank him. I would appreciate it if you could please pass this on to his Manager and to Imad himself. We appreciate that your “shop front “ in today’s on-line world is your website, so after quite a lot of research we decided to have our new real estate website designed and built by the team at Agentpoint. Right from the outset, Tatiana Mijalica was excellent to work with and offered us a lot of advice on design and functionality and continually followed up to ensure everything was progressing smoothly. We also worked directly with Kane Hamilton-Smith through to completion and could not be happier with our new hybrid-responsive website. We have received great feedback from our past clients and the local business community and would highly recommend Agentpoint for any real estate based website design and their on-line services. Dealing with Agentpoint & Kane Hamilton-Smith as our Project Manager has been great. Kane is always quick to address any issues and follows up with his team to provide the fastest possible turnaround time. Kane’s speed of support and attention to detail makes our experience with Agentpoint always a pleasure. Thank you Lilly for your excellent help and patience in designing, drafting and the implementing all the alterations and updates that I required. The end result is a site that is sharp, informative, minimal and with ease of navigation, exactly my goal. The ability to add news and information as it comes to hand is now achievable for me. I look forward to a successful and long association. Thank you again for your help and I will certainly recommend yourself and Agentpoint as the ideal development team. Kane, thanks for all your help creating our agent websites. Your patience and responsiveness were second to none. Thanks again Kane and thank-you Agentpoint! Kane ­ thanks so much for your time and effort. You’re a pleasure to work with. Please relay my thanks to the rest of your team at AgentPoint. Tianna and Ryan, thanks for your support and guidance initially! Our new website looks great and I am sure we will cross paths again in the near future. “AgentPoint have truly impressed me beyond words. Their creative flair, response times, sensitivity to my design requests, intuitiveness, knowledge, communication, customer service, the availability of their design team, their collaborative approach, product, cost, brand… I could go on and on! To everyone at AgentPoint ­THANK YOU! A special thank you to Kane Hamilton-Smith who has answered my dozens of phone calls and responded to my 101 emails over the past few weeks, you have been amazing! Our experience with AgentPoint and Kane Hamilton­Smith has been wonderful. From the outset, I was provided with clear information and directions. The system was straightforward and Kane made an otherwise difficult task easy & fun! Kane was quick to respond, consistently follow up, and has an abundance of patience. No request was too difficult. Thank you again for our new InSync website. Kane Hamilton‐Smith lead the team for our new website, hereproperty.com.au. I found Kane exceptionally responsive, very competent and very easy to talk to. In terms of communication, either email or phone, Kane was always reachable; a trait which isn’t always easy to find. Kane delivered a product which we believe is excellent, even when dealing with a very new concept. Any required follow‐up was usually dealt with on the spot and plain talking training ensures we can operate the new systems and features. I highly recommend Kane for any new site. “Our experience with Kane Hamilton­Smith and the AgentPoint team has been nothing short of professional. From the outset, having never gone through this process, I was provided with constant information and direction. The system was straight forward, systematic and efficient. Kane made an otherwise daunting task an absolute pleasure and fun! He was quick to respond and follow up and has an abundance of patience. No request was too hard. As one of the owners of my company, I had very high expectations for the type of website I wanted to create. I was overwhelmed with the work done by Agentpoint and Kane Hamilton­Smith. They worked very hard to create what I had envisioned for our Real Estate company’s website. Not only were Agentpoint very knowledgeable and efficient in their work, but they also offered suggestions and creative ideas time and time again throughout the process of adding numerous pages and features to our website. I was very impressed with the quality of work, customer care, and meticulous attention to detail. I will surely refer them to any business associates who are looking for quality web designers! A huge thanks to Kane at AgentPoint for creating 4 Agent websites for Bay West Real Estate. Throughout the process Kane was helpful, efficient and always contactable. Kane made sure to keep us well informed and updated which relieved the stress usually associated with creating websites. Again, we thank you Kane for all your help in creating our 4 agent websites. We would have no hesitation to recommend AgentPoint and you or go through you again. The team at AgentPoint are top­notch in their field. We scoured the web looking for a quality design team to supplement our real­estate offerings to our clients. Agent Point was able to deliver cutting­edge modern designs that added elegance to truly represent Joandarc Realty and the way of which as a company we want to be portrayed. The quality graphics impressed our clients and complemented our business model and focus. 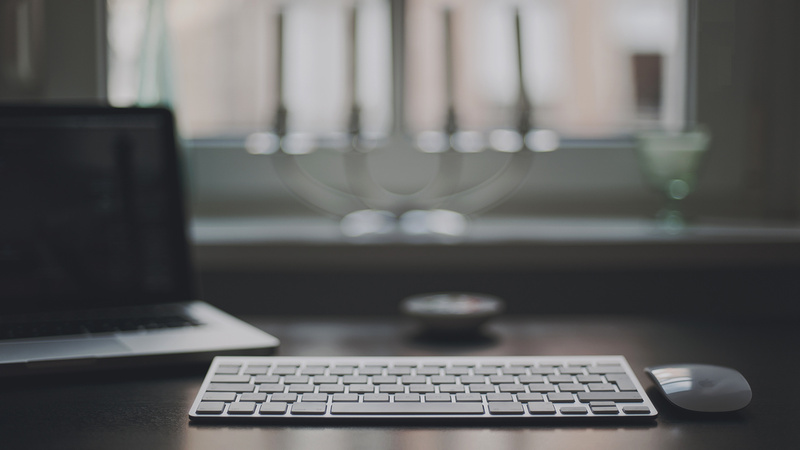 Flexibility, responsiveness, and quality are the hallmarks of AgentPoint. We worked closely with Kane Hamilton­Smith to capture the style we were looking for. Kane was beyond helpful in revising and working to get the site to look exactly like we wanted. We would not hesitate to go back again with our next project or site revision. They are knowledgeable and provide excellent customer service. We highly recommend Kane & the team at AgentPoint to anyone seeking to keep­up, create or grow their business. Join over 5,000 subscribers who receive our monthly Agentpoint monthly Digital Marketing News.